Joe Root is undoubtedly cricket's next superstar, adored by fans and the press alike for his incredible talent and his cheeky personality. At just 24 years old he has already scored nearly 3,000 Test runs, taken 12 Test wickets. Joe was the star of England's incredible 2015 Ashes campaign - his knock of 130 at Trent Bridge secured the series victory and saw him named by the ICC as the best batsman in the world. This is Joe's personal account of his speedy climb to stardom, from schoolboy cricket to early days with Yorkshire, culminating with exclusive behind-the-scenes access to an England team at the top of their game. 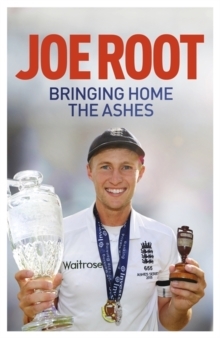 A perfect gift for all England cricket fans, this gives the inside story to an historic Ashes victory from a player who is instrumental to the team.